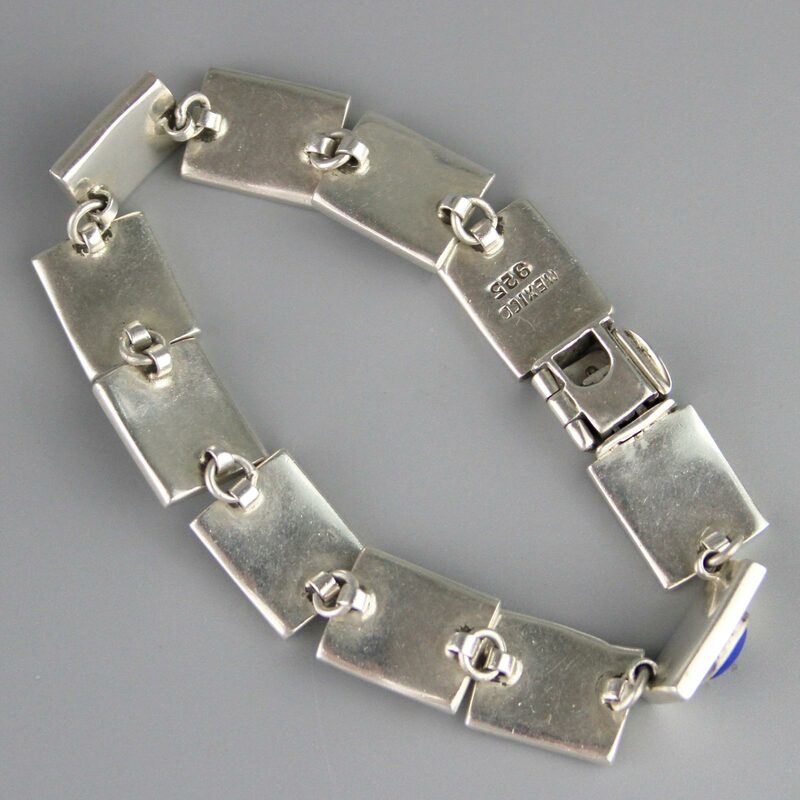 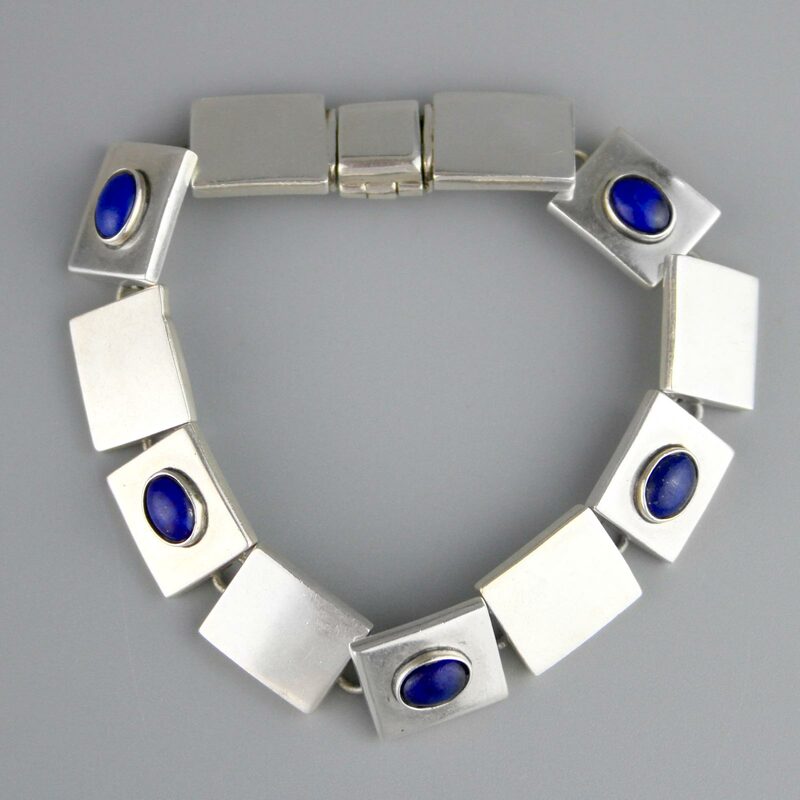 Spectacular, sleek and elegant modernist Mexican bracelet. 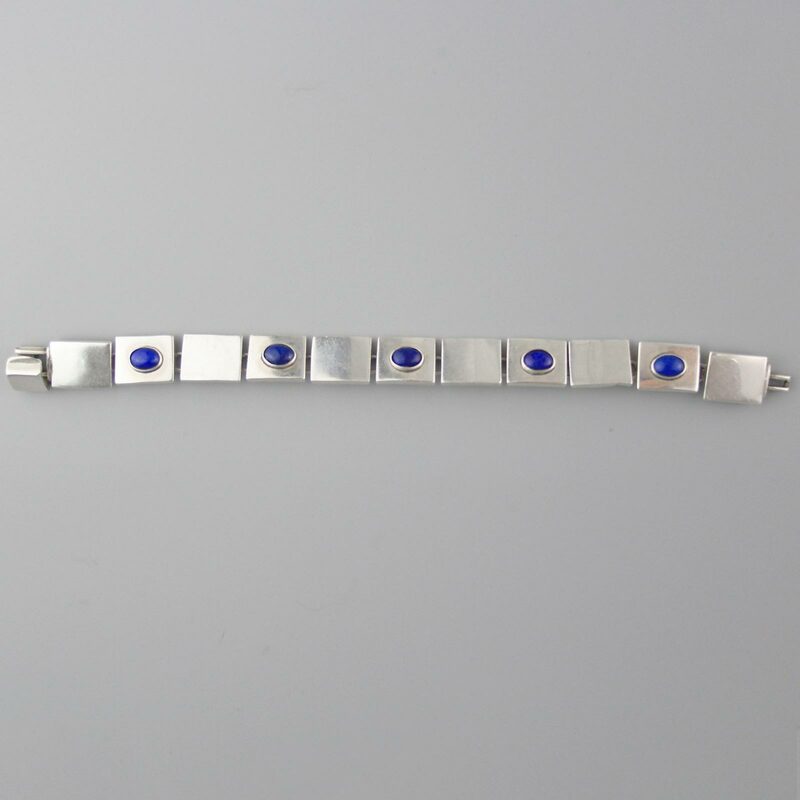 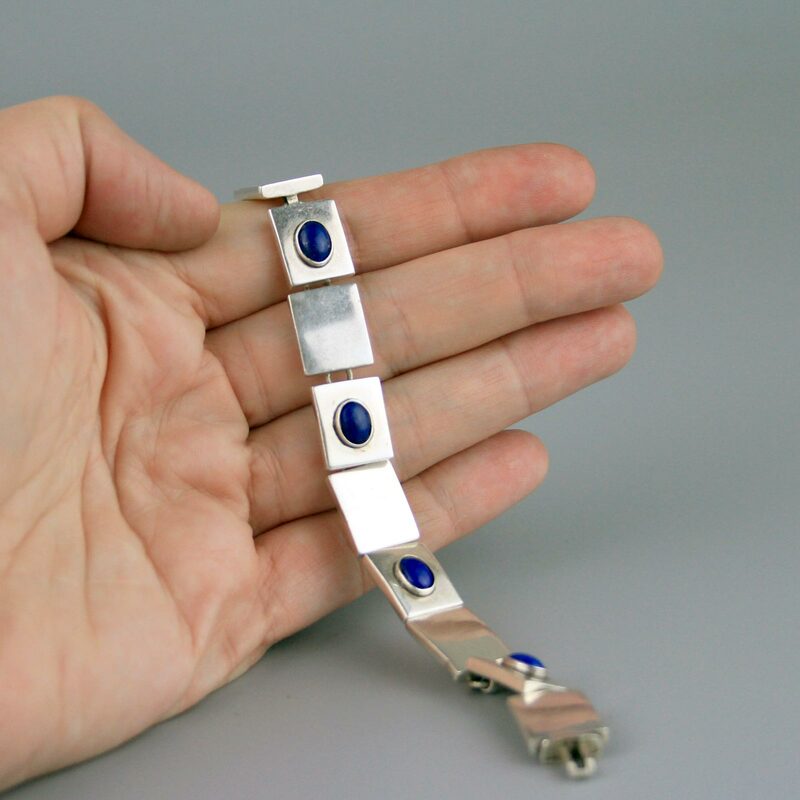 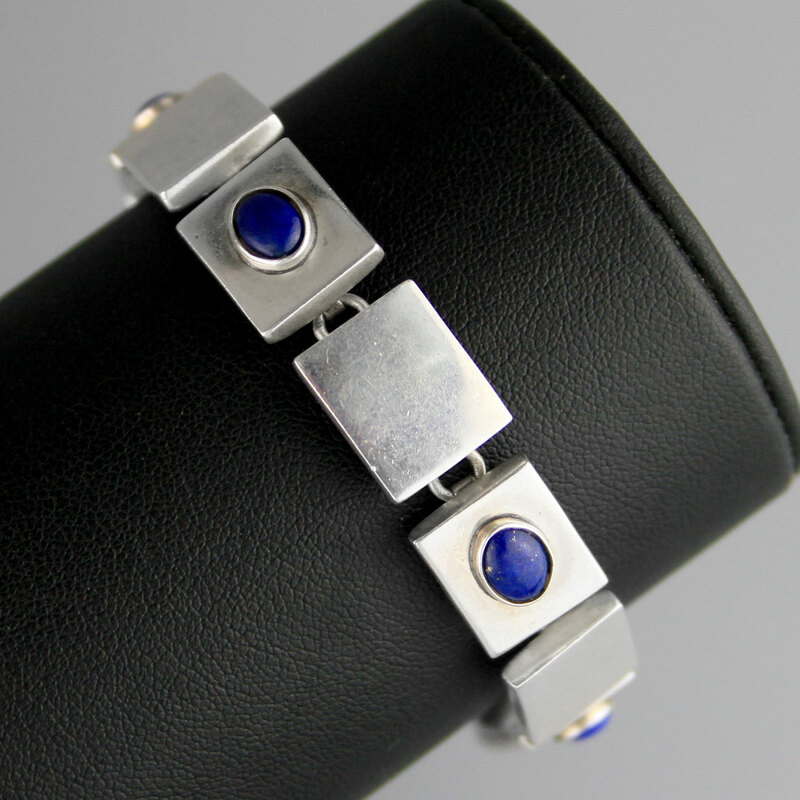 High quality, heavy gauge of silver with eleven square articulated links, five inset with lapis cabochons. 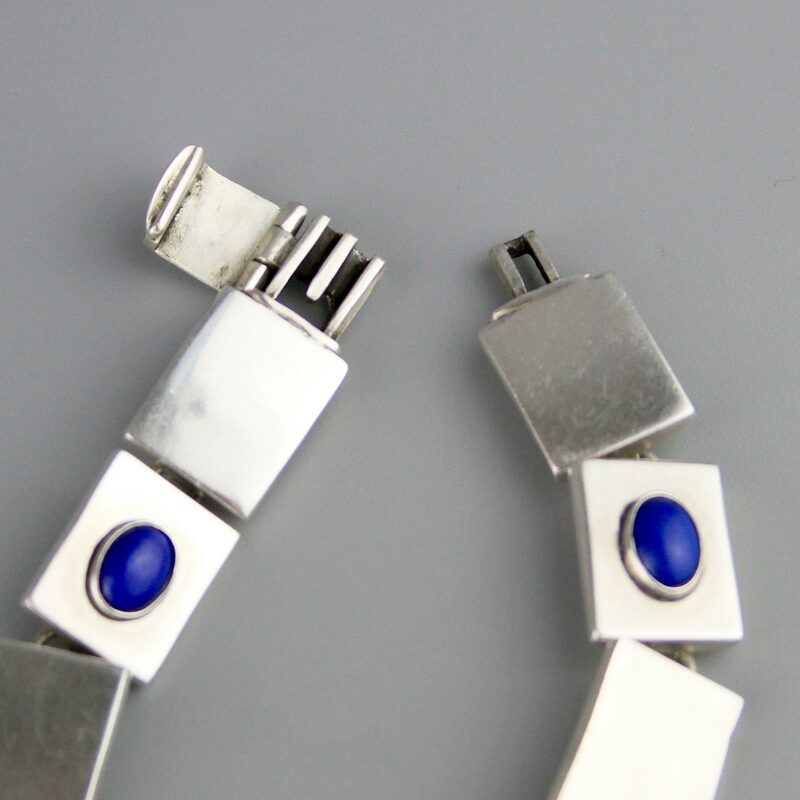 It has a beautiful drape when held and ingenious slot-lock with safety clasp that folds across the top, Very nicely made. 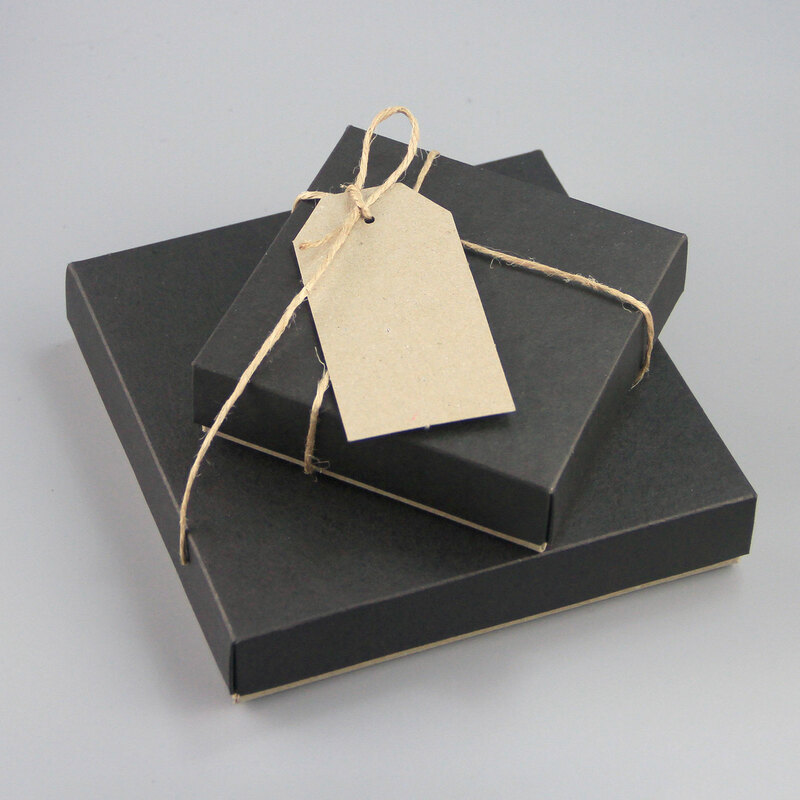 Artisan work, handmade, elegant design and beautifully executed.